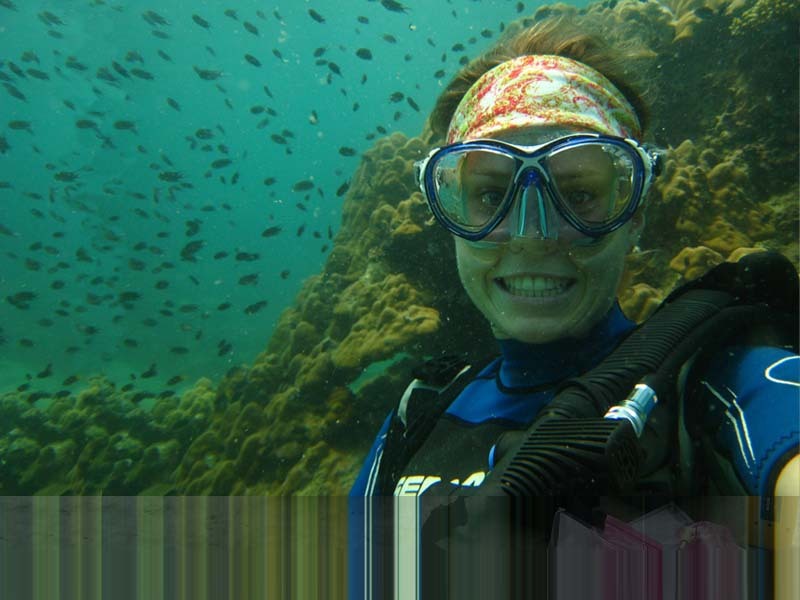 Allison Stocks has traveled to Phu Quoc island with Mitacs Globalink for research into the vulnerability of seahorse populations. I woke up at 5 a.m. this morning just as light was beginning to reach into the sky; the clouds were tinted pinky orange hues. I hopped on my motorbike, maneuvering along red dirt roads matted from last night’s rain. Within a few minutes, I could see the ocean and hundreds of fishing boats dotting the horizon. Welcome to a day of research on Phu Quoc Island, Vietnam! The Mitacs Globalink Research Award application was straightforward and when I learned I’d received it, I was thrilled! Mitacs made sure to guide me through pre-departure planning, which helped me prepare for my research overseas. I arrived in Hanoi, the capital of Vietnam and met with Dr. Nguyen Manh Ha at Vietnam National University, who helped me get accustomed to life in Vietnam. From there, I travelled to Phu Quoc Island, which is located in the Gulf of Thailand. I have been scuba diving and observing catch of fishing boats to learn as much as I can about the seahorses. Vietnam exports seahorses for use in traditional medicine, aquariums, and as curiosity items. But it is unclear whether this exploitation is sustainable. My work is examining seahorse populations and their vulnerability to overfishing. International experience has been integral to my personal development, creativity and innovation. I have studied in New Zealand and South Africa; these opportunities helped me to become who I am, and to give back to communities across the globe. My passion is marine conservation, and with the assistance of Mitacs Globalink I have had the incredible opportunity to work in Vietnam, and to contribute research to a national management plan for seahorse sustainability. Learn more about the Mitacs Globalink Research Award here.